Everything is coming up Apple lately. The iPad is surpassing expectations, the newly-announced next-gen iPhone is creating a stir, and Apple recently overtook Microsoft as the world’s most valuable tech company. But not everything Apple touches turns to gold. They’ve seen their fair share of flops over the company’s long history. 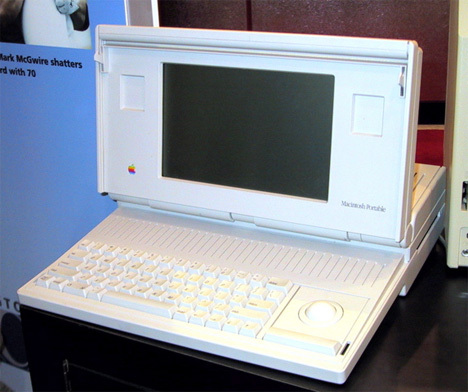 The above Macintosh Portable was Apple’s first attempt at a portable, fully-featured, battery-powered computer. At 16 pounds, its portability could be debated; the battery power was laughable and the thing couldn’t even boot if the battery was unable to hold a charge. The Mac Portable was discontinued just a year after its introduction. 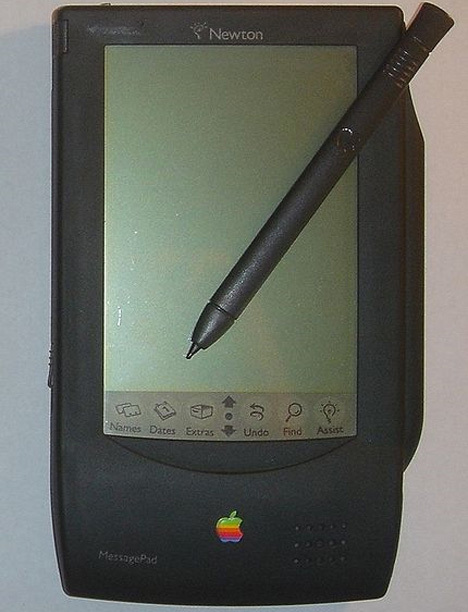 The Apple MessagePad – often mistakenly called the Newton (which was actually the name of the OS) – is one of Apple’s most famous flops. To be fair, the device was not a terrible failure and still boasts a very large base of devoted fans. The most logical explanation for its commercial failure and quick discontinuation is that the MessagePad was a bit ahead of its time. The handwriting recognition was weak, the battery life was severely limited, and the original version lacked desktop connectivity. Still, CNET UK compared the MessagePad to the iPhone in 2009 and declared the Newton device superior to its “grandchild” because of its innovation at the time of its release. 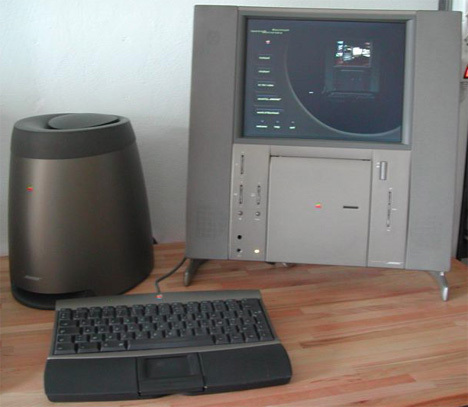 The Twentieth Anniversary Mac was one of the most aesthetically beautiful Apple computers ever. Its sleek, modern form was unlike anything the world had seen when it was released in March of 1997. Unfortunately, it was widely thought that Apple had put way too much thought into its form and not nearly enough into its function. The original price of $7,499 was shocking, even though the price had originally been predicted at $9,000 (including a direct-to-door concierge delivery and setup service). Later, following widespread criticism of its high price and limited function, the price dropped as low as $1,995 – below the cost of production. Despite being technically disappointing, the extreme scarcity and attractive appearance of the TAM has made it a sought-after collectible for Apple enthusiasts. See more in Epic Failures or under Vintage & Retro. June, 2010.